Past and present stars from different sports paid tribute to Tiger Woods after the 14-time major winner ended his drought at the Tour Championship. Not since claiming the 2013 WGC-Bridgestone Invitational had Woods celebrated victory on the PGA Tour. He has endured four back surgeries since then. However, that all changed on Sunday as Woods triumphed by two strokes at East Lake to secure his 80th career win. It sparked widespread reaction on social media, with 18-time major champion Jack Nicklaus leading the way. “I never dreamed @TigerWoods could come back and swing the way he has, after surgery. I think you could argue he’s swinging better than he has ever in his life. He has played fantastically. “I think throughout this year some of @TigerWoods’ issues were between his ears, as he had to remember how to win again. Tiger has been close, almost there. You knew he was going to win soon, and this week he did it. 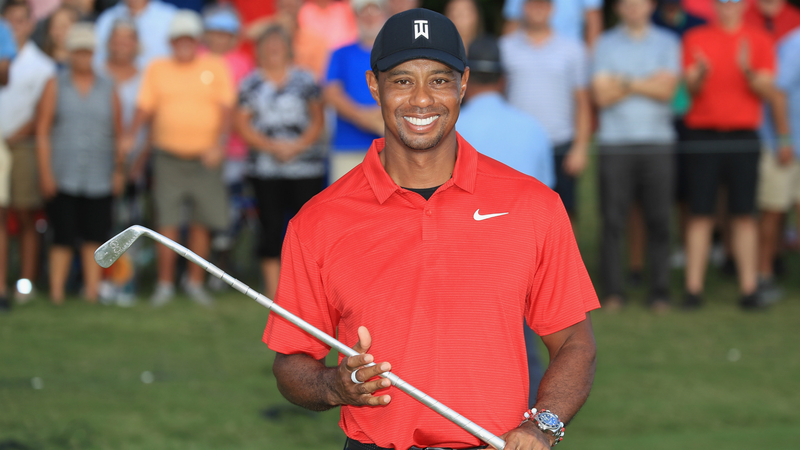 NBA and Los Angeles Lakers Hall of Famer Magic Johnson also paid tribute to Woods, writing: “Congratulations to @TigerWoods on his big win at the 2018 Tour Championship in Atlanta!”. Congratulations to @TigerWoods on his big win at the 2018 Tour Championship in Atlanta! Fellow NBA great Julius Erving and Tottenham striker Harry Kane were among the other stars to congratulate Woods, while star golfers Justin Rose, Rory McIlroy and Bubba Watson also took to Twitter. Fresh off the victory, Woods will head to France next week to compete for the United States at the Ryder Cup.